Working life in Cyprus - key characteristic of working life across a range of parameters. Self-reported health among the respondents in Cyprus is good, as 42% reported having ‘very good’ health in 2016. This is higher than the EU28 average of 24% and close to the top ranking Ireland at 47%. Signs of deterioration in life satisfaction and happiness levels can be seen among respondents in Cyprus. Life satisfaction decreased from 7.2 in 2011 to 6.5 in 2016 (on a scale of 1–10), compared to the EU28 average of 7.1. Happiness decreased from 7.6 in 2011 to 7.0 in 2016, while the EU28 average stood at 7.4. Work–life balance related problems tend to be more common in Cyprus, compared to the EU28 average. Overall, 69% of the respondents in Cyprus are ‘too tired from work to do some of the household jobs which need to be done’ at least several times a month, compared to the EU28 average of 59%. Also, 56% of respondents report ‘difficulties to fulfil family responsibilities because of the amount of time spent at work’ at least several times a month, much higher than the EU28 average of 38%. Cyprus ranks lowest among the EU countries in terms of trust in people, with respondents giving an average rating of 3.0 in 2016 (on a scale of 1–10), versus an EU28 average of 5.2. Perceived tensions between poor and rich are below the EU average. In total, 21% of respondents reported a lot of tension in 2016, compared with 29% in the EU28. Furthermore, perceived tensions between different racial and ethnic groups stood at 23%, below the EU average of 41%. The perceived quality of public services in Cyprus is below the EU28 average, and the quality ratings are similar to the figures in the previous observation years. The best performing public service in the quality ratings is childcare services, standing at 6.4 in 2016 (on a scale of 1-10), and close to the EU28 average of 6.7. Social housing receives the worst quality rating among the public services, receiving an average rating of 4.4 in 2016, versus the EU average of 5.6. 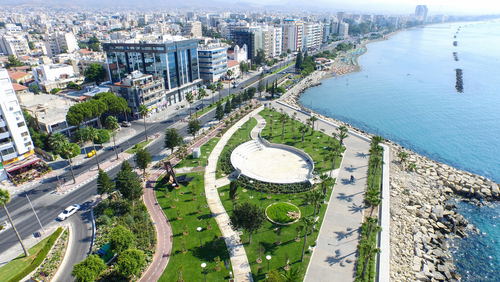 This profile describes the key characteristics of working life in Cyprus. It aims to complement other EurWORK research by providing the relevant background information on the structures, institutions and relevant regulations regarding working life. This includes indicators, data and regulatory systems on the following aspects: actors and institutions, collective and individual employment relations, health and well-being, pay, working time, skills and training, and equality and non-discrimination at work. The profiles are updated annually. The presidential elections in February 2018 ushered in a debate over the introduction of a national statutory minimum wage – a proposed alternative to the current regime, which guarantees a minimum wage only to certain professional groups. The debate was triggered by the elected president, Mr Anastasiades, who voiced his intention to consider the introduction of a national statutory minimum wage if the unemployment rate fell below the 5% margin. However, no form of social dialogue took place until several months later, when a hearing for three draft laws related to the minimum wage was held in the Labour Committee of the House of Representatives. During the hearing, representatives of the Ministry of Labour revealed that relevant studies had already been commissioned and that the ministry had already requested the support of the European Commission and the ILO in the matter. The government’s decision to start the process unilaterally, without addressing the issue within the Labour Advisory Body, was harshly criticised by trade unions. At least two other labour disputes contributed to the view within trade unions that the government’s stance on social dialogue left much to be desired. The decision of the Ministry of Education to change the terms of employment for teachers in public education without prior consultation led to industrial action and demonstrations in the summer. In November, it was the turn of the trade unions in the hotel industry to take to the streets in protest against a governmental draft law repealing the obligation of hoteliers to be uniquely responsible for all services offered to customers. Under the new law, services such as bars and restaurants may be subcontracted to third parties, whose employees may not necessarily be covered by the collective agreement. The draft law was submitted to parliament, also without prior consultation with the sector’s trade unions. In October, the Federation of the Building Contractors’ Associations of Cyprus withdrew its consent to a 2017 negotiated agreement to plead together with trade unions for legislation setting minimum terms of employment for all workers in construction in accordance with the sectoral collective agreement. This was viewed as a step backwards, undoing all the strenuous efforts made to combat unfair competition and social dumping in the sector. The envisaged legislation had been negotiated as an integral part of the deal for the renewal of the sector’s collective agreement. Another important development in 2018 was the implementation of the law introducing the new general health scheme (GESY). In the autumn of 2018, serious disputes over a number of basic features of the scheme arose between doctors’ associations and the privately owned hospitals association on one side and the Health Insurance Organisation (HIO) on the other. By the end of the year, HIO, the government and opposition parties had shown no sign of submitting to the demands of the doctors and private hospitals. There was good news from the broader public sector in 2018. The implementation of the Framework Agreement and the Complementary Agreement of 2017, which set the margins for pay increases in years to come, seemed to be on track. In July 2018, following an agreement concluded between the broader public sector trade unions and the government, a law was adopted providing for a gradual repeal of pay cuts imposed during the crisis by the end of 2022. Since April 2013, emphasis has been placed on the implementation of major fiscal, structural and institutional reform measures in the context of the Memorandum of Understanding (MoU) on Specific Economic Policy Conditionality as well as of the Action Plan for Growth. Between 2012 and 2017, GDP increased 2.3%, in contrast to the EU average increase of 7.4% for the same period. During this time, total unemployment decreased to reach 11.1% in 2017. Unemployment rates among young people reached 34.7% in 2017, a 0.6 percentage point decrease since 2012. Total employment figures remained quite stable but below the EU average, with an increase of 2.3% for women but decreases of 2.1% for men and 2.4% for young people. In the present system of industrial relations, labour legislation has constituted a secondary regulating tool. Given that labour law is made up by common law and statute law, the employment relationship is regulated by ordinary contract law principles (Contract Law, Cap 149 as amended), supplemented by statutory rights and obligations where appropriate. In this context, up to very recently, industrial relations in Cyprus was regulated by a very limited number of statutes, the main being the Laws on the Termination of Employment as amended from 1967 until 2002 (159(I)/2002) and the Laws on Annual Holidays with Payment as amended from 1967 until 2002 (169(I)/2002). However, with the enforcement of the EU acquis in the area of labour law, a series of laws were introduced from 2002 onwards that now regulate a significant number of terms of employment, and in some cases provide for more favourable terms than those provided for in collective agreements (for instance, annual leave). The present system of industrial relations was substantially consolidated in 1960, when Cyprus was declared an independent republic, on the basis of the two fundamental principles of voluntarism and tripartite cooperation. Based on these principles, collective bargaining has traditionally played a leading role in regulating industrial relations, and legislation has constituted a secondary tool (see above). Along the same lines, state intervention generally in industrial relations and particularly in the formulation of terms and conditions of employment is kept to a minimum. In this context, the role of the state is mainly an advisory one. It intervenes, as also laid down in the Industrial Relations Code (IRC), through the Mediation Service of the Ministry of Labour, Welfare and Social Insurance (MLWSI) in cases where agreement can’t be reached in the direct bipartite bargaining between the employer organisations and the trade unions. In sectors of economic activity where trade union representation is not present or is weak, the state regulates with legislation minimum standards of the basic terms and conditions of employment, such as the minimum wage and working time for specific occupations or sectors of economic activity – for example, in the retail sector. In light of decreasing trade union density and in particular given the economic and financial crisis, trade unions after 2013 are more inclined than before to opt in favour of state intervention in the regulation of the minimum terms of employment. For example, in April 2016, following the renewal of the collective agreement in the hotel industry, the House of Representatives amended the ‘Terms of employment regulation for employees in hotels’ by obliging all employers of the sector to extend the minimum entitlements and benefits to all hotel employees, independently of the collective agreement coverage. This was a major demand of the sector’s trade unions. Meanwhile, other sectoral trade unions, such as the construction workers’ unions, have also taken similar demands into their priority agenda. This leads to the assumption that in future, regulatory and legislative authorities will be called upon more frequently to adopt measures regulating the minimum terms of employment. Trade unions, employers’ organisations and public institutions play a key role in the governance of the employment relationship, working conditions and industrial relations structures. They are interlocking parts in a multilevel system of governance that includes the European, national, sectoral, regional (provincial or local) and company levels. This section looks into the main actors and institutions and their role in Cyprus. The Department of Labour Relations (DLR) of the MLWSI is the responsible authority for implementing the Government's policy in the area of industrial relations. Among its main responsibilities, the DLR provides mediation services for the settlement of labour disputes in private and semi-government sectors. Additionally, the department operates a Trade Union Registrar’s Service that is responsible for the registration and monitoring of social partner organisations in Cyprus. The main institution to ensure the enforcement of employee rights in Cyprus is the labour inspectorates. So far, however, there is no unified body of labour inspectors to coordinate inspection activities. As such, the labour inspectorates report to separate departments of the MLWSI according to the specialisation, jurisdiction and competences of each department. The Labour Inspection Department that was set up in 2002 in the context of ILO Convention 81 covers exclusively the area of workplace health and safety, while the DLR is responsible for the enforcement and inspection of labour legislation. For this reason, the department's inspectors regularly deal with complaints on the non-application of labour laws and actively provide advice to employers on their responsibilities and to employees on their rights. The government has in 2017 submitted a draft law to the House of Representatives unifying all labour inspectorates into one body. Since 2009, the practice of labour inspection teams has come under the DLR; these are teams that operate in the form of multidisciplinary bodies staffed by three labour inspectors from three different departments, the Industrial Relations Department, the Labour Department and the Social Insurance Services. This is an initiative of the Ministry of Labour, in the framework of combating the phenomenon of illegal and undeclared work, which is part of a wider package of measures announced in autumn 2008. The Department of Labour is also involved in regulating working life, as it has under its jurisdiction the supervision of the application of various relevant legislations, in particular regulating the employment of European citizens and of third-country nationals. There are no specific criteria for defining the representativeness of employers’ associations and trade unions at national level. In legislative terms, the only statutory regulation that might be considered as establishing criteria of representativeness refer to trade union formation and their obligation to be registered with the Trade Union Registrar. The requirement of official registration with the Trade Union Registrar applies also to employer associations, while a similar obligation applies if a trade union organisation or an employer association wishes to withdraw from the Trade Union Registrar or cease to function. Overall, the most critical factor in assessing the concept of representativeness refers to the organisations’ social dialogue capacity-building. In this context, the social recognition of the social partner organisations and the main criterion for their classification as ‘peak national organisations’ (or ‘central organisations, which is the most relevant term in Cyprus) is whether an organisation is a key player within the existing system of industrial relations. Particularly important are the organisation’s ability to define the terms and conditions of employment through collective bargaining at sector and company level, and its capacity to participate in the consultation process on possible social policy and industrial relations initiatives at national level. As provided for by the Industrial Relations Code (IRC), both sides recognise the right of employers and employees to organise freely and to belong to organisations of their own choice without any interference or victimisation from either side. According to the Trade Union Laws, the Trade Union Registrar keeps a register of unions in which each union is obliged to register, after submitting a special application for registration, within 30 days from the date the union is established. To register, each union must have over 20 members, except where fewer than 20 workers are employed in a specific occupation. In October 2009, a draft bill was introduced to the House of Representatives amending the legislation on trade unions, but as of 2016 it had still not been enacted. It currently lies in the House of Representatives. The draft legislation was drawn up as part of the effort made by the MLWSI since 1995 to modernise the existing legislation and bring its provisions in to line with present-day conditions. For this purpose, extensive consultations were held before the competent tripartite technical committee set up by decision of the Labour Advisory Body (LAB) that lasted for almost 10 years. The main parts of the draft legislation were opposed by the Pancyprian Federation of Independent Trade Unions (POAS) as well as other independent trade unions. One sticking point was Article 9 which increases the minimum number of members required to form a trade union from 21 to 100 people. In May 2012, law 55(I)/2012 on the Recognition of Trade Union Organisation and of the Right to Provide Trade Union Facilities for Recognition Purposes was passed as part of a package of legislative measures for the modernisation of the system of industrial relations, aimed at strengthening legislation provided for by ILO Convention No. 135. In short, law 55(I)/2012 includes a number of provisions that seek to strengthen rights to bargain collectively and to give trade union representatives access to workplaces, while still respecting employers’ rights. The rate of union density fell from 76.1% in 1990 to 51.0% in 2008. Although exact figures after 2008 are not available, Trade Union Registrar estimates that by 2011 union density had dropped below 50%. For the period between 2011 and 2015, trade unions estimate that there has been a further decline in union density. Similarly, the three main trade union organisations that are active in the private sector have reported decreasing membership, without, however, providing specific figures. The most affected sectors are construction and manufacturing. In the view of the former Minister of Labour Sotiroula Charalambous, during the period between 2008 and 2014, the decrease in union membership has emerged as one of the most important problems facing the trade union movement, causing a number of difficulties including problems with finances. The declining trend in membership is reported by unions to have stabilised in 2016, in line with the stabilisation of the labour market. In 2017, trade unions report increasing membership, though without publishing concrete figures. In Cyprus, trade union membership is not a requirement of representativeness. In this context the following table includes also trade union organisations that are relatively small in terms of membership but are considered influential in collective bargaining. Apart from the three peak national organisations – the Democratic Labour Federation of Cyprus (DEOK), the Pancyprian Federation of Labour (PEO) and the Cyprus Employees Confederation (SEK) – and despite notable differences between the private and the public sector, the table also includes three union organisations that are active in the public sector: the Organisation of Greek Secondary Education Teachers (OELMEK), the Pancyprian Union of Public Servants (PASYDY) and the Pancyprian Organisation of Greek Teachers (POED). The reason for including these three organisations is that they correspond largely to the classification of central organisations, mainly in relation to their capacity to influence the outcomes of collective bargaining. For the same reason, the Union of Cyprus Banking Employees (ETYK) is also included. The table, finally, includes also the Pancyprian Federation of Independent Trade Unions (POAS). POAS was established in 1956 and unites some independent employee organisations mainly active in state-owned enterprises and has an observer status in the Labour Advisory Body. Until the middle of the 2000s, POAS was struggling for survival. In 2007, after eight independent unions – operating in public enterprises – joined the federation, POAS emerged again. POAS member unions are signatory parties of some collective agreements in the broader public sector. It should be noted that, despite their title as federations (based on the Trade Union Law as amended between 1965 and 1996), DEOK, PEO and POAS are also considered to be confederations. Contrary to the trend prevailing with other trade unions, PASYDY’s membership in 2015 appears to have increased compared with the 2008 data. This is due to the Cyprus Police Association that joined PASYDY in May 2011. At organisational level, there have been no notable developments since 2011 regarding the organisation and the role of the trade unions. During the same period, there were no legislative developments that had a direct impact on the role of the social partners in social dialogue, collective bargaining and industrial conflicts. The Independent Union of Cyprus' Public Employees (ASDYK) was established in November 2014 as a result of a split from PASYDY. ASDYK was registered as a trade union in January 2015. Contrary to PASYDY's organisational structure, the new union’s leadership has a three-year term and a two-term limit. Additionally, any leadership official who gets a promotion will automatically resign his/her post in the union, while union officials will not receive any payment. As of March 2017, the union had 240 members, mostly public employees of a younger age. The Cyprus Trade Union of Self-employed, Fixed-Term and Indefinite-Terms Employees and Contract Employees (EQUALITY) was registered in December 2017. The union aims at organising persons with non-permanent employment relationships in the broader public sector and at the end of 2017 had registered 360 members. Membership data for 2016, as presented on the above table, indicate stabilisation of the previous years’ decreasing trend. The two country’s peak trade union confederations, SEK and PEO, have slightly increased their members compared with the 2015 data. As far as employer organisations are concerned, to date, the structure, organisation and operation of the employer organisations in Cyprus have not been studied and examined in a systematic way. Most references in this regard are contained in papers that either examine issues of labour law and industrial relations in general, or approach the issue of the organisation of employer organisations historically. The two national peak level organisations are the Cyprus Chamber of Commerce and Industry (CCCI) and the Cyprus Employers and Industrialists Federation (OEB). There are no systematic data available regarding the employers’ organisational density. Nevertheless, both CCCI and OEB have reported that there is a clear trend towards increased numbers of members as well as a unique rallying of members. In the view of OEB, the new economic situation that has emerged as a result of the economic crisis and mainly the insecurity of enterprises in the new environment along with the urgent need to find solutions, have led more and more enterprises to seek means of representation and protection of their interests. In this context, losses in membership have been offset by new members that have joined. A noteworthy development in recent years is the wind-down in December 2015 of the Cyprus Bankers Employers’ Association (KEST). KEST was dissolved on the decision of its last remaining members, soon after major banks, such as the Bank of Cyprus and Cooperative Central Bank left the association. Now, the Union of Cyprus Banking Employees (ETYK) will have to negotiate collective agreements with each one of the banks separately. Percentage of employees working in an establishment which is member of any employer organisation that is involved in collective bargaining. Apart from CCCI and OEB, the following table also includes two sectoral employer associations that are influential in terms of collective bargaining: the Federation of Associations of Building Contractors Cyprus (OSEOK), a member of OEB; and the Cyprus Hotels Association (PASYXE), a member of CCCI, as well as the Association of Cyprus Tourist Enterprises (STEK), a member of OEB. In Cyprus, although the law does not institutionalise bodies of social dialogue, there is a long tradition of social dialogue. The implementation of almost all proposals and policies regarding industrial relations is the result of social dialogue between the government, the employer organisations and the trade unions. On a practical level, cooperation between the three parties is achieved through the operation of technical committees and other bodies of tripartite representation, but mainly through the representation of the stakeholders in the Labour Advisory Board (LAB) within the MLWSI, considered to be the most important mechanism of tripartite representation. During the last 10 years, the system of social dialogue has, however, been challenged by a number of trade unions, mainly single-sector trade unions like ETYK. The main criticism is that social dialogue representation is restricted to a very small number of trade unions, at confederation level only, but without the participation of all confederations. In this context, all other trade unions are practically excluded from the official bodies of tripartite representation and the LAB in particular. Specifically, on behalf of the employers there are three representatives from CCCI and three from OEB, while on behalf of the trade unions there is one representative from DEOK, three representatives from PEO and three representatives from SEK. Depending, however, on the issue in question, representatives from other trade unions or employer associations might be invited on an ad hoc basis, but mainly participating as observers. In terms of the issues covered, there is a relatively limited social dialogue agenda and a lack of initiative on behalf of the social partners to expand into new areas, such as economic and monetary issues. In this context, important outcomes such as the National Action Plan for Employment (NAP) 2004–2006, the National Lisbon (Reform) Programme 2005–2008 or most recently the National Reform Programmes were not the result of social dialogue. In relation particularly to measures put forward as a response to the new economic governance at EU level, such as the MoU, the DEOK, PEO and SEK believe that these are in effect decided by the government and as such were imposed on the social partners in a one-sided manner. They see this as a practice that constitutes an outright attack on the existing system of industrial relations which is based on the principle of tripartite collaboration. After the accession of Cyprus into the European Union, the National Employment Committee was created. The committee has a tripartite composition and is chaired by the Minister of Labour, Welfare and Social Insurance. The committee has an advisory competence on issues related to the implementation of the European employment policy, the performance of the labour market, the modernisation of the Public Employment Service, the monitoring of the National Action Plan for Employment, as well as the reformation of the employment framework of third-country nationals. During the recent economic crisis, the committee has also been dealing with various measures to combat unemployment. It should be noted that the social partners participate in almost all policy-making organisations, such as the Human Resources Development Authority (HRDA) and various other committees and councils of minor importance. All issues related to labour relations. Cyprus has a weak tradition in terms of the existing structures for employee representation at the establishment level. In this context, the main representation structures to date refer to the trade union representation and safety committees, while recently established structures such as the European Work Councils (EWCs) do not seem particularly viable. In the framework of its mediating role, the Ministry encourages the social partners to promote the establishment of information and consultation bodies (I&C). As a result, a number of collective agreements both at sectoral and enterprise level have now incorporated a special clause that refers to social partners’ intention to establish I&C bodies according to the provisions of the Law 78(I)/2005 on Establishing a General Framework for Informing and Consulting Employees . However, so far it has not resulted to any practical and meaningful measures. At the same time, although the social partners agree that the adoption of Law 78(I)/2005 is important insofar as it lays down employees’ right to information and consultation on a wide range of important issues, they are not motivated to introduce I&C arrangements, since in their opinion I&C rights are safeguarded by the industrial relations system itself. It should be noted that safety committees exist in establishments with 10 or more employees, as provided for by the legislation on health and safety at work (Law 89(I)/1996) and the relevant regulations on safety committees (Regulatory Administrative Act 134/1997). Is the regulation of these bodies codified by law or in collective agreements? When do they need to be/can be set up? Deal with the application of the regulations determining the working conditions, welfare and training of hourly-paid employees and productivity related issues in the respective department. In establishments with more than 10 employees a safety committee has to be set up consisting of 2 elected representatives in establishments with 10-19 employees, 3 representatives in establishment with 20-49 and 1 additional representative for every 50 additional employees. Employer is also represented in the Safety Committee. In the figure, we see a comparison between Cyprus and European Union for the people with 'Establishment size: All' when asked 'Official structure of employee representation present at establishment'. For the 'Yes' answer, Cyprus's score is lower than the European Union score. For the 'No' answer, Cyprus's score is higher than the European Union score. The National comparisons visualisation presents a comparative overview for the values of all answers between two selected countries. The central concern of employment relations is the collective governance of work and employment. This section looks into collective bargaining in Cyprus. The right to collective bargaining is guaranteed and safeguarded by the Constitution of 1960. In particular, Article 26(2) of the Constitution provides that ‘a law may provide for collective labour agreements of obligatory fulfilment by employers and workers with adequate protection of the rights of any person, whether or not represented at the conclusion of such agreement’. In the absence of relevant law, however, the collective agreements concluded thus far are considered ‘gentlemen’s agreements’. This implies that the regulatory part of the agreements – terms regulating pay and working conditions issues, along with other issues arising from the provision of labour – has no direct or obligatory effect on workers. In practice, the system of free collective bargaining developed in the framework of the IRC applies to both the private and the semi-public sector. Despite a clear trend towards decentralisation of collective bargaining, as reported by both the trade unions and the employer associations, a mixed situation continues to exist in Cyprus where bargaining levels alternate between sector and company level. In this context, it is rather difficult to assess which is the predominant level, mainly with regard to the total bargaining coverage rate. Specifically, despite the numerical preponderance of the enterprise level, the sectoral level is seen just as important, if not more important as far as coverage is concerned. Available data on collective bargaining coverage data are fragmented and derive from various sources, while the methods by which they are collected and processed are unknown. In this context, it is problematic to cite any specific data, while it is extremely important to differentiate the public and the broader public sector, where the proportion of coverage reaches almost 100%, from the private sector. As far as the private sector in concerned, without providing for an exact figure, trade unions have reported that bargaining coverage has shown a tendency to fall already since 2007, a tendency that has shown a steady increase since 2010. This tendency became more evident during the course of the recent financial and economic crisis. In Cyprus, collective bargaining takes place at sectoral and enterprise levels. At sectoral level, direct negotiations are always held between the two sides of industry, in most cases between the two biggest confederations PEO and SEK from the employees’ side and OEB from the employers’ side. At enterprise level, collective agreements are drawn up and negotiated usually directly between the trade union representatives and the employer, but in a number of cases with the assistance of the company’s affiliated employer association. Articulation between the two bargaining levels is rather weak. As a result, bargaining on the sectoral level does not constitute the basis for setting pay on a more specific level such as that of the enterprise. The time when collective bargaining takes place is not set. Nevertheless, based on the provisions of the Industrial Relations Code, the party seeking to modify an existing collective agreement should give the other party at least two months’ notice of its intention to do so, before its expiry, and accompanied by a list either of claims or modifications. The only exception is where, in the case of small-size undertakings, a different process is stipulated in the collective agreement. When both parties agree, the existing collective agreement will continue in force for a period equal to the length of the delay in the submission of the claims if such delay does not exceed 15 days. If the party seeking to modify an existing agreement has failed to give notice of its intention to do so, the collective agreement remains in force for another year. As a result of the financial crisis, an objective of the employer organisations is the conclusion of longer-term collective labour agreements , something which they believe that the unions are also seeking. Unions, however, believe that the term of collective agreements should be shorter, since many provisions are judged to be temporary due to the crisis. Although there is no operational coordination between the different levels of bargaining, in a few sectors of economic activity such as hotels, metalworking and the construction industry, collective bargaining constitutes the basis for setting pay in other sectors of economic activity, either at sub-sectoral or company level. This means that these sectors are atypically considered as pace-making sectors. Collective agreements apply to signatory parties' members only, whereas in Cyprus there is neither legal provision for mandatory extension of the collective agreements, nor is there a functional equivalent. The previous government submitted in February 2013 a draft law aimed at introducing an extension mechanism for sectoral collective agreements. The new government, which took office in March 2013, revoked the draft law. Thereafter, the president of the Labour Committee of the House of Representatives has resubmitted the draft law with minor essential changes. As of February 2017, the draft law is still in the Labour Committee, but has not yet been taken into the committee’s priority agenda. In relation to wage indexation that applies to the outcomes of collective bargaining, all employees are covered, regardless of whether they are a member of a trade union. Derogation is possible, but no ‘hard’ figures on its extent are available for Cyprus. The DLR reported for 2012 that more employers introduced unilateral changes of the terms and conditions of employment that in most cases resulted in a partial violation of collective agreements and fewer people covered. Partial violation either means that not all the provisions of the agreement were observed or that only a small portion of the staff were covered, usually permanent staff who are union members. Opening clauses are more common since 2012 as a result of the economic crisis. There is no relevant legislative or institutional framework and prior to 2008 opening clauses were not used. It should be noted that in Cyprus, instead of the term opening clause, social partners prefer to refer to special/ad hoc agreements or provisions within an existing agreement that take the form of a hardship clause as a result of the economic crisis. OEB has stated that since 2012 most renewals have been made in the framework of this type of agreement, being entered into for a short period of time, usually for one year. As regards their content, these special/ad hoc agreements refer almost exclusively to pay and working time. In practice, the ad hoc agreements function as framework agreements, allowing deviations from the original agreement, whereas any individual deviations take place at enterprise level, depending on the special conditions faced by each individual enterprise. As the economy returned back to positive growth rates, the main trade unions of the private sector are since the second half of 2015 focusing on the recovery of all the terms provided by collective agreements. Until their renewal, the previous agreements usually remain in force. In the view of PEO, however, this is grey zone where it is unclear what is or is not in force. In this context, PEO has pointed out that as a result of the economic crisis there have been more and more delays in renewing collective labour agreements, and as a result many workers both in individual enterprises and in whole sectors of economic activity have remained uncovered by basic terms and conditions of employment. Not all collective agreements contain a peace clause. Those collective agreements with a peace clause point anyway to the provisions of the Industrial Relations Code (IRC). The IRC is merely a ‘gentleman’s’ agreement and therefore does not produce legal obligations. However, social partners involved in collective bargaining adhere to its provisions. The IRC deals with industrial peace according to the nature of dispute. For conflicts over interests (conflict arising out of negotiations for the conclusion of a new or the renewal of an existing collective agreement), the Code provides that the parties do not resort to industrial action during the validity of a collective agreement, as well as during mediation, arbitration or public inquiry. In case of disputes over grievances (defined as a dispute arising from the interpretation of and/or implementation of an existing collective agreements or of existing conditions of employment or from a personal complaint including a complaint over a dismissal) the parties undertake not to resort to any industrial action. Trade unions may resort to industrial action if an employer, against the recommendations of the Ministry of Labour, flagrantly violates a provision of the collective agreement. In terms of its content collective bargaining is rather limited and covers traditional issues such as pay and working time. Other issues related to individual employment and working conditions are considered to be of secondary importance. The right to strike is guaranteed by the constitution of the Republic of Cyprus. Specifically, Article 27, paragraph 1 provides that ‘the right to strike is recognised and its exercise may be regulated by law for the purposes only of safeguarding the security of the Republic or the constitutional order or the public order or the public safety or the maintenance of supplies and services essential to the life of the inhabitants or the protection of the rights and liberties guaranteed by this Constitution to any person.’ According to paragraph 2 of Article 27, persons belonging to the armed forces, police and gendarmerie do not have the right to strike. A law could be passed to extend this prohibition to public employees. However, no such law has ever been enacted. The issue of regulating strikes and of the dispute settlement procedure in essential services had remained pending for a number of years, with three attempts to regulate the matter through legislation resulting in a deadlock. In March 2004, a tripartite agreement on the procedure for resolving labour disputes in essential services was finally signed. The accord introduces an arbitration procedure in such disputes but does not rule out industrial action. In the framework of the new agreement, Defence Regulations 79A and 79B, which were issued on the basis of an existing Essential Services Order, should be abolished. Both the International Labour Office and the Council of Europe have remarked that Regulations 79A and 79B are not consistent with treaties of these bodies ratified by the Republic of Cyprus. There is no specific reference in the constitution, or any other law, to a right to introduce a lockout. In a study on the matter by the attorney general it was concluded that in accordance with existing legislation in Cyprus, lockout, though not recognised by the Constitution, ‘is a right the employer has, provided it is exercised for safeguarding or promoting the lawful interests of the employer during a trade dispute and without committing any penal or illegal act or activity’. Additionally, the IRC under part II, section B, paragraph 1(d), (Violations of Collective Agreements) provides that ‘the aggrieved party may resort to any lawful action, including a strike or lockout, in defence of its interests’. In the current system of collective bargaining, government coordination is rather weak. The state intervenes as laid down in the IRC through the Mediation Service of the Ministry of Labour when reaching agreement in the direct bipartite bargaining between the employer organisations and the trade unions is difficult. During the past decade, the MLWSI has played an important role in maintaining industrial peace, by providing mediation services for the renewal of collective agreements. In this context, it is worth mentioning that, during the same period, increasingly fewer sectoral collective agreements were concluded at the direct bargaining stage, causing serious delay in the renewal of agreements. Specifically, according to official data provided by the Department of Labour Relations of the MLWSI for the year 2015, 228 labour disputes were referred to mediation, involving a total of 13,063 employees, compared to 229 labour disputes in 2014, involving a total of 19,197 employees. Individual employment relations are the relationship between the individual worker and their employer. This relationship is shaped by legal regulation and by the outcomes of social partner negotiations over the terms and conditions governing the employment relationship. This section looks into the start and termination of the employment relationship and entitlements and obligations in Cyprus. The employment relationship is generally not regulated by legislation. However, some legal regulations apply concerning the protection of young persons in employment. The minimum working age is 18 and it is regulated by Law 48(I)/2001 on the Protection of Young Persons at Work. The main purpose of the Law 48(I)/2001 is to protect people under the age of 18 at work. The basic provisions of the relevant legislation are the following. It prohibits the employment of children. It lays down the hours of work, the daily and weekly rest and the night-work restrictions for children and adolescents. It regulates the placement of children under a combined work training programmes. It sets the general obligations of employers. It specifies the prohibited employments. It prescribes the offences and penalties. In terms of dismissals and termination procedures, core legislation refers to the Law 24/1967 on the Termination of Employment and to the Law 28(I)/2001 on Collective Redundancies. As far as the termination of employment is concerned, the purpose of the Law 24/1967 is to protect employees against dismissal. Law 24/1967 covers all employees, whether in the private or the public sector, including apprentices. It also covers the shareholders of private companies who are employed by their companies. Employees of the UK Government and the NAAFI working in Cyprus are exempt from the provisions of the specific legislation. Under Law 24/1967 an employer intending to terminate the employment of an employee, who has completed at least 26 weeks of continuous employment with that employer, is obliged to give the employee a minimum period of notice, depending on the length of his service, as provided by the law. In Cyprus, every dismissal is considered unfair unless the employer proves otherwise. For more information on individual dismissal procedures, the reader can consult the employment guide that is published by the Ministry of Labour, Welfare and Social Insurance. In the case of collective redundancies, the purpose of the Law 28(I)/2001 is to protect employees in the event of collective redundancies. A minimum of 21 people must be employed in the establishment for the company to fall within the remit of the law. To fall within the scope of legislation, employers must be planning to dismiss or make redundant 10 or more employees within 30 days in enterprises with 21–100 employees; 10% of the workforce for enterprises having 101–299 employees, and 30% for enterprises employing 300 employees or more. Civil servants, workers employed by semi-governmental organisations, local authorities, legal entities covered by public law, seamen and workers on fixed-term contracts are exempt from the legislation. Beside the maternity and parental leave, a paid paternity leave of two weeks was introduced from 1 August 2017. Weekly rate of maternity allowance is equal to 72% of the weekly value of the insurance point of the insured person’s basic insurance in the relevant contribution year. The total duration of parental leave is up to 18 weeks, and 23 weeks in the case of a widowed parent. Parental leave is taken with a minimum duration of one week and a maximum duration of five weeks per calendar year, and for families with three or more children the maximum duration is increased to 7 weeks. Unpaid leave, though a small number of enterprise collective agreements may provide for part of the parental leave on a full pay basis (for instance, the French School of Nicosia). Law 47(I)/2012 on Parental Leave and Leave on Grounds of Force Majeure. Paternity leave is currently set at 2 consecutive weeks and has to be taken within the first 16 weeks from the birth of the child or from the adoption of a child. In the case of adoption, the child has to be younger than 12 years. Under Cyprus law, there is no statutory obligation on the employer to pay sick pay. Where an employer does not enter into a specific arrangement with its employees about sick pay then sickness benefit is covered by the Social Insurance Scheme that is applicable to all who are entitled to this benefit irrespective of the applicant’s age. Nevertheless, under the existing system, sickness benefit is paid to employees and self-employees aged between 16 and 63 who are incapacitated for work. Persons who do not satisfy the insurance conditions for entitlement to old-age pension at 63 are entitled to a benefit up to the required date, but never after the age of 65. The weekly rate of sickness benefit is the same as that of unemployment benefit and is calculated in the same way. From 2008 to 2012, a deep reform of the pension system took place in three distinct phases that was part of a wider reform of the social insurance system, aiming to ensure the long-term financial sustainability of the system. During the first phase that was completed in 2009, a number of measures were put forward that aimed primarily to increase revenue through higher contributions. During the second and the third phase a number of measures were introduced as part of the Country Specific Recommendations (CSRs) and the MoU. In the context of these reforms, the general retirement age is set at 65 in the private sector. Employees who have accumulated sufficient social security rights can still take their pension with 63; however, a penalty is imposed amounting to 0.5 % for every month they take their pension before 65. In the public sector, retirement age was gradually increased from the age of 60 to 65. In the Social security reform of 2012, the retirement age was linked to development of life expectancy. According to this provision, a review must take place every 5 years. The first review will reflect the change of life expectancy from 2018-2023. Retirement age is gender neutral. Pay: For workers, the reward for work and main source of income; for employers, a cost of production and focus of bargaining and legislation. This section looks into minimum wage setting in Cyprus and guides the reader to further material on collective wage bargaining. Developments regarding pay since 2011 have been determined by the financial and economic crisis. In the context of the crisis, measures of the government to increase revenue and/or reduce expenditure included pay cuts, the introduction of special contributions and a general recruitment halt in the public sector (these measures are described below), as well as the freezing of the Cost of Living Allowance (COLA). In the private sector, trade unions ‘silently’ accepted in 2013 also the suspension of COLA. Furthermore, they followed a so-called ‘organised retreat’ strategy by concluding time-limited special agreements allowing the derogation from certain provisions of the collective agreements, such as pay, remuneration of overtime and remuneration of work on public holidays. With the economy returning since 2015 to positive growth rates to reach an estimated 3.8% rate in 2017, trade unions are increasingly exerting pressure for the pre-crisis wage levels, to be reinstated as well as benefits such as the COLA, the renewal of collective agreements and the abolition of special agreements. In 2016 and 2017, various significant agreements were concluded, the most important of which are presented below. Cyprus does not stipulate a minimum wage at national level that must be observed in collective bargaining at various specific levels – sectoral or company. Nevertheless, based on existing legislation, particularly Chapter 183 of the Minimum Wages Law, national minimum wages and salaries apply to nine specific occupations: sales staff, clerical workers, auxiliary healthcare staff, auxiliary staff in nursery schools, in crèches and in schools, security guards, caretakers and cleaners. As regards the amount of minimum pay, until May 2012, when the relevant legislation was last renewed, the level of minimum wages was set annually by the government in consultation with the social partners, with the minimum fixed at a monthly rate and enforced by a decree of the Council of Ministers. According to the most recent Order (No. 180/2012) that is effective retroactively from 1 April 2012, the minimum monthly salary for the new job entrants in seven of the nine occupational categories - excepting that of cleaners and security guards - is set at €870 from €855 in 2011, while for employees who have worked for the same employer for six consecutive months, the minimum wage is set at €924 from €909 in 2011. For the occupational category of cleaners the minimum hourly rate is set at €4.55 and €4.84 for employees who have worked for the same employer for six consecutive months, while the minimum hourly rate for the occupational category of security guards is set at €4.90 and €5.20 accordingly. Section 4.2 of the MoU foresees that to prevent possible adverse competitiveness and employment effects, the Cypriot authorities commit that, over the programme period, any change in the minimum wage covering specific professions and categories of workers should be in line with economic and labour market developments and will take place only after consultation with the programme partners. As a result, minimum wage rates from 2013 to 2017 remained at the levels of 2012. It is reported that minimum rates apply to all, irrespective of age. Eurostat: Minimum wage statistics . As a result of the economic crisis, collective bargaining during the last four years, 2011–2014 was characterised by abstention and long delays in renewing collective agreements, while many agreements both at the sectoral and the enterprise levels have either put on hold or reached a deadlock both at the stage of direct negotiations and the stage of mediation. In this context, most of the agreements that are renewed provide for pay freezes and pay cuts. In the public sector, based on Cyprus’ commitments under all four priority areas of the EuroPlus Pact, the government put forward a number of measures. Specifically, to foster competitiveness, a policy of containment of public sector wages has been put forward, including the civil service. In this context, the most important measures affecting directly the wages of employees in the broader public service are the following. Total freeze of wages, salaries and pensions for a period of two years from 1 January 2011 to 31 December 2012, Law 192(I)/2011. Total freeze of wages, salaries and pensions for a period of four years from 1 January 2013 to 31 December 2016, Law 185(I)/2012 that amended Law 185(I)/2011. Total freeze payment of the COLA. Initially, the measure was applied for a period of two years 2011 and 2012, but with the enactment of Law 185(I)/ 2012 on 21 December 2012 the measure was extended to cover the period from 1 January 2012 until 31 December 2016. Reduction of gross monthly earnings of wages, salaries and pensions, initially for a period of two years from 1 December 2012 to 31 December 2014 (2011–2012), based on the level of monthly gross earnings. The reduction has been extended for another two years, until the end of 2016. The reaction of the trade union movement against the intention of the government to regulate wage increases in the broader public sector by introducing legislation setting upper thresholds for wage increases equal to the annual growth rate of nominal GDP, as well as the rejection of the respective draft law by the House of Representatives, forced the government to withdraw. Both the opposition by the trade unions and the rejection of the draft law by the House of Representatives were justified on the basis of the Industrial Relations Code, which provides for collective bargaining between the employers’ and employees’ organisations. Thereafter, the government entered into negotiations with the two major trade unions the country, PEO and SEK. The negotiations resulted in the conclusion of a Framework Agreement on 4 January 2017 covering the period from 1 January 2015 to 31 December 2018 and applying to all employees in the broader public service (not public servants): employees of local authorities, employees of state-owned enterprises, wage earners of the public service, etc. The agreement provides for zero wage increases for the years 2015 and 2016. From 2017 and 2018, the agreement foresees the introduction of a mechanism for the determination of upper thresholds of the payroll increase equal to the growth rate of nominal GDP. For the calculation of the upper thresholds, reference periods have been agreed applying for both the payroll and the growth rate of nominal GDP. Any changes in the level of employment will not be taken into consideration for the calculation of the payroll. Practically, the framework agreement paves the way for the negotiation of collective agreements in the broader public sector. Negotiating parties will now be obliged to adhere to the limits set by the framework agreement. The Minister of Finance, Mr Georgiades, negotiated and concluded a similar Framework Agreement on the 6 February 2017 with the Pancyprian Trade Union of Public Servants (PASYDY) covering public servants. However, PASYDY refrained from demanding wage increases other than Cost of Living Allowance and increases due to pay scales. Soon after the conclusion of the Framework Agreement, a bipartite technical committee was set up to calculate the upper thresholds, within which wage increases were supposed to be negotiated. The technical committee concluded its work calculating a total threshold of 2.4% for both years: 2017 and 2018. Thereafter, the unions of the broader public sector requested the start of negotiations for the renewal of the collective agreements and set the threshold of pay increases of reduction of pay cuts imposed during the crisis of 2% as a guideline. The minister rejected the demands regarding pay increases or pay cut reductions (other demands were accepted). He countered that these demands could not be satisfied at the current stage by referring to the necessity to maintain the state budget in balance. Even a meeting of the leaders of the two peak trade unions confederations with a minister could not lead to a positive outcome. Only when the trade unions, at the beginning of October 2017, considering the stand of minister to be a breach of the Framework Agreement, called for warning strikes, did the minister signal his readiness to discuss the demands of the trade unions. In renewed negotiations held in October 2017, a new ‘ Complementary Framework Agreement 2015-2018 ’ was concluded. The complementary agreement provides for the negotiation of pay increases or reduction of pay cuts of up to a cumulative 2% for 2017 and 2018. The negotiations were due to be completed by 31 May 2018. The parties agreed also to gradually eliminate the pay cuts imposed during the crisis. Wage setting in Cyprus is determined by the Cost of Living Allowance (COLA), which is a wage indexation system, i.e. wages increase or decrease according to the movement of the consumer price index (CPI). Trade unions have traditionally attached great importance to COLA, as it neutralises the impact of price increases on the purchasing power of wages and has contributed to the conclusion of long-term collective agreements and to labour market peace. COLA was initially introduced in the 1940s for the public sector and from the 1960s onwards also in the private sector. COLA is an integral part of every collective agreement in Cyprus. As in the course of the financial and economic crisis the public finances began to deteriorate, the government concluded in 2011 an agreement with the broader public sector trade unions that included pay cuts and the suspension of COLA. After the conclusion of the Memorandum of Understanding between the government of Cyprus and its creditors, the pay cuts and suspension of COLA has been expanded for the whole duration of the adjustment programme. In view of COLA suspension in the public sector and the contraction of economy, trade unions ‘silently’ accepted the suspension of COLA in the private sector as well in 2013. On the initiative of the Minister of Labour, Welfare and Social Insurance, an agreement was reached on 28 July 2017 over the reactivation of Cost of Living Allowance. The agreement foresees some changes of the COLA terms. The new COLA system is temporary and shall be valid from 1 January 2018 until 31 December 2020. The intention of the Minister is to use the next three years for further consultations with the social partners to conclude a final agreement over COLA and its terms of application. The agreement for the transitional arrangements on COLA provides for: a) the calculation and disbursement of COLA once a year (1 January), b) disbursement of COLA at a reduced rate of 50%, c) incorporation of accumulative COLA rate into basic salaries on 31 December 2017 and new start of COLA rate accumulation from zero and d) suspension of COLA in the event of economic contraction both in the 2nd and 3rd quarter of the preceding year. The agreement applies only in the private sector; however, a similar agreement is in place for the public sector as well. Working time: ‘Any period during which the worker is working, at the employer’s disposal and carrying out his activities or duties, in accordance with national laws and/or practice’ (Directive 2003/88/EC). This section briefly summarises regulation and issues regarding working time, overtime, part-time work as well as working time flexibility in Cyprus. Prior to the accession of Cyprus into the EU in 2004, working time was regulated either in collective agreements, or by an agreement between the employer and the employee. With the transposition of EU legislation, specifically the enactment of Law 63(I)/2002 on the organisation of working time, the main aspects of working time, such as the maximum working week and rest periods, are now provided for by the relevant legislation. However, the regulation of working time legislation in Cyprus does not provide a definition for the statutory normal working week (NWW). The legislation determines only upper thresholds for working week including overtime (TWW), which is set at 48 hours. As a result of the economic crisis, the general rule according to both the employer organisations and the trade unions is the reduction in working time, with a corresponding reduction in emoluments, usually through arrangements on a weekly basis, such as a four-day instead of a five-day week as well as a reduction in overtime worked. Overtime is regulated either in collective agreements, or by an agreement between the employer and the employee, given that the total working week including overtime (TWW) is set at 48 hours as provided for by Law 63(I)/2002. As a result of the crisis, a number of agreements provide for changes to the manner of compensating overtime. Specifically, in most cases there was a reduction in the rate of compensation for overtime from double the usual rate to 1/1.5 or from 1/1.5 to 1/1.25, and in a number of cases the threshold of total time worked, above which compensation is paid for overtime, was increased from 38 to 40 hours a week. In addition, in a number of cases there were differences in compensation for holiday and weekend working. Derogations from collective agreements as far as overtime pay is concerned, are being in last two years renegotiated on the initiative f trade unions with aim to return back to normal provisions of collective agreements. As far as flexible forms of employment are concerned, although no analyses in this regard have been made to date, from the statistical data as shown in the following table it appears that part-time work has increased steadily during the last five years, most probably as a result of the economic crisis. Although part-time employment continues to be more frequent among female employees, since 2011 it has also been growing among men. Specifically, part-time employment for men increased from 7.4% in 2011 to 11.3% in 2016, while part-time employment among women increased from 11.8% in 2011 to 15.6% in 2016. The main reason for this increase points to the scarcity of full-time jobs. Part-time employees’ definition is formulated in the Part-time Employees (Prohibition of discriminatory treatment Law of 2002 (76(I)/2002): an employee whose working hours calculated on a weekly basis or average working hours over an employment period of year are less than normal working hours of a comparable full-time employee. As far as flexible forms of employment are concerned, although no analyses in this regard have been made to date, from the statistical data as shown in the following table it appears that part-time work has increased steadily during the last years, most probably as a result of the economic crisis. Although part-time employment continues to be more frequent among female employees, since 2012 it has also been growing among men. Specifically, part-time employment for men increased from 6.3% in 2012 to 8.9% in 2017, while part-time employment among women increased from 12.8% in 2012 to 15.6% in 2017. The main reason for this increase is the scarcity of full-time jobs. Involuntary part-time work is particularly high in Cyprus. According to LFS figures, at 69.7% it was more than 40% higher than the EU28 average in 2016 but decreased to 68.0% in 2017. Involuntary part-time work is significantly higher than the respective EU28 averages both for women and men. In 2017, the involuntary part-time work rate for men in Cyprus was 76.1% and for women 63.2%, considerably higher than the figures in 2012. The night period is the period beginning at 23.00 and ending at 06.00 and night worker means a worker who works on a regular basis at least three hours of his daily working time during the night period. Any method of organising work in shifts whereby workers succeed each other at the same work stations according to a certain pattern, including a rotating pattern, and which may be continuous or discontinuous, entailing the need for workers to work at different times over a given period of days or weeks (same as the directive). No definition for weekend (there is only a definition for ‘week’: the time period beginning at 00:01 of Monday and ending at 24:00 the following Sunday). ‘Rest period’ means any period which is not working time (same as the directive). Every worker has a ‘daily rest time’ of at least 11 continuous hours for every 24 hours, with the 24 hours beginning at 00:01 and ending at 24:00. Every worker is entitled to a 15 minute long ‘break’ if his daily working time is more than 6 hours. Every worker is entitled to a continuous weekly rest time of 24 hours; if it is justifiable by objective or technical reasons or by the organisational conditions of work, the rest time may be set at 24 hours, whereby the worker gets two continuous periods of 24 hours or a single continuous 48 hour rest time within a period of 14 days. As far as worker’s autonomy to change working time is concerned, there are no available statistical indicators to allow for a comparison through the years. Nevertheless, according to the results of an LFS ad-hoc module on Reconciliation between work and family life, it is apparent that workers in Cyprus have a low level of control over their work time schedule. Specifically, 82.0% of employees (83.2% for men and 80.7% for women) had a work time schedule decided by the employer with a fixed start and end of a working day without any possible alterations by the employee. Some 5.4% of employees (5.7% for men and 5.0% for women) determined their own work schedule with no formal boundaries at all, while the 6.2% (5.7% for men and 7.4% for women) had their daily number of hours fixed but with some flexibility within the day. The specific ad-hoc module was part of the Labour Force Survey (LFS) for the year 2010; it covered only the period April–June, (the second quarter) and the target population was people aged 15–64. In the figure, we see a comparison between Cyprus and European Union for the workers with 'Age : All' when asked 'Do you have fixed starting and finishing times in your work?'. For the 'No' answer, Cyprus's score is lower than the European Union score. For the 'Yes' answer, Cyprus's score is higher than the European Union score. Data is based on question 39d from the sixth "European Working Conditions Survey (2015)The National comparisons visualisation presents a comparative overview for the values of all answers between two selected countries. Maintaining health and well-being should be a high priority for workers and employers alike. Health is an asset closely associated with a person’s quality of life and longevity, as well as their ability to work. A healthy economy depends on a healthy workforce: organisations can experience loss of productivity through the ill-health of their workers. This section looks into psychosocial risks and health and safety in Cyprus. The main law in Cyprus regulating health and safety at work is the Health and Safety at Work Law of 1996–2015 (89(I)/1996), which sets out the basic framework. Further law and regulations on health and safety in particular activities or in activities dealing with dangerous agents complement and extend the scope of the basic framework. Main features of the legislation are the determination of employers’ and self-employed persons’ responsibilities and their general duties, general principles for risk prevention, as well as the obligation of employers and self-employed persons to prepare a written risk assessment and to design a risk management system. In addition, the legislation provides for consultations of employees, the setting up of safety committees, the introduction of a Safety and Health Register and for notification of work accidents and occupational diseases. Failure to comply with the legal obligations mentioned is punishable by imprisonment up to two years or by a fine not exceeding €17.086 or by both penalties. The employers’ liability is provided by a special legislation, the Employers’ liability (compulsory insurance) law of 1989–2014 (174(I)1989), according to which an employer is liable in the case of an accident or occupational diseases for all his/her employees in Cyprus and for all Cypriot employees of an employer with operations abroad, provided that they are permanent residents of Cyprus. The Department for Labour Inspection is in charge of monitoring all health and safety legislation. The department is at the moment implementing a gradual action plan for the establishment and operation of a system for the supervision of workers’ health. In this context, the Regulations on Health and Safety at Work (Supervision of Health) were enacted by the House of Representatives in October 2017. The regulations foresee regular medical examinations for workers and employees and these will be applicable to workers in asbestos and port related activities. The regulations shall be extended in the future to further professional activities. Since 2008, the total number of accidents with four or more days lost has shown a decreasing trend. In 2015, a total of 1,377 accidents occurred, compared with 1,747 in 2011, while during the same period the number of accidents per 1,000 employees decreased from 5.4 in 2011 to 4.6 in 2015. Apart from Law 89(I)/1996 as amended from 1996 until 2015 on Safety and Health at Work there is no specialised legislation in place addressing psychosocial risks at work. No recent studies have been conducted in relation to psychological risks at work. The results of the most recent study on the national level on the Assessment of the Situation in Cyprus regarding the Physical and Mental Disorders of Working People have not been updated, and according to information from the Department of Labour Inspection at the MLWSI, due to a decrease in funds provided for research no action is expected to be taken in this regard in the coming years. In the figure, we see a comparison between Cyprus and European Union for the workers with 'Age : All' when asked 'Do you have enough time to get the job done?'. For the 'Always or most of the time' answer, Cyprus's score is higher than the European Union score. For the 'Rarely or never' answer, Cyprus's score is lower than the European Union score. For the 'Sometimes' answer, Cyprus's score is higher than the European Union score. Data is based on question 61g from the sixth European Working Conditions Survey (2015). The National comparisons visualisation presents a comparative overview for the values of all answers between two selected countries. Skills are the passport to employment; the better skilled an individual, the more employable they are. Good skills also tend to secure better-quality jobs and better earnings. This section briefly summarises the Cyprus system for ensuring skills and employability and looks into the extent of training. The System of Vocational Qualification (SVQs) in Cyprus commenced on 2007 as a co-funded project of the European Social Fund and the Human Resource Development Authority (HRDA) for the programme period 2007–2013. The HRDA is the responsible authority for the design and development of the Occupational Profiles, to assess the candidates and award the Certifications of Vocational Qualification. It is important to mention that the SVQs are developed with the involvement of tripartite sectoral technical committees including social partners, people from labour market, scientists, professional associations etc. Until recently HRDA has completed the development of 80 Occupational Profiles at various levels (1–4) in seven priority sectors of economic activity as well as in relation to the provision of vocational training. So far, the HRDA has already prepared all the necessary mechanisms and is able to award Certifications of Occupational qualifications to candidates in two sectors: Hotel and Catering and the provision of Vocational Training. Law 125(I)/1999, as amended up to 2007 (Law 52(I)/2006 and Law 21(I)/2007) provides for the establishment of the Human Resource Development Authority (HRDA) as the only authority with competence and power in the field of training, including continuous vocational training, although no explicit reference is made to it. It is mentioned that the HRDA is an organisation of tripartite representation. The HRDA’s mission is to create the necessary prerequisites for the planned and systematic training and development of Cyprus’s human resources, at all levels and in all sectors, for meeting the economy’s needs, within overall socio-economic policies. For the accomplishment of its mission and to be able to exercise its competences and powers, the HRDA is funded by the Human Resource Development Fund. Every employer is obliged to pay to the Fund a levy not exceeding 1% of the emoluments of each of his/her employees as may be specified from time to time. The government is exempted from this obligation. In the figure, we see a comparison between Cyprus and European Union for the workers with 'Age : All' when asked 'Have you had on-the-job training in the last 12 months?'. For the 'No' answer, Cyprus's score is lower than the European Union score. For the 'Yes' answer, Cyprus's score is higher than the European Union score. Data is based on question 65c from the sixth "European Working Conditions Survey (2015). The National comparisons visualisation presents a comparative overview for the values of all answers between two selected countries. For Cyprus, the European Company Survey 2013 shows that between 2010 and 2013, 50% of establishments with 10 or more employees reported changes in the use of technology, 52% introduced changes in ways to coordinate and allocate the work to workers, and 26% saw changes in their working time arrangements. Work organisation issues are issues that traditionally are not covered by collective bargaining. In this context, any changes are not the result of collective bargaining and are not included in the collective labour agreements. In Cyprus there are no recent major surveys or studies on work organisation. In the figure, we see a comparison between Cyprus and European Union for the workers with 'Age : All' when asked 'Are you able to choose or change your methods of work?'. For the 'No' answer, Cyprus's score is higher than the European Union score. For the 'Yes' answer, Cyprus's score is lower than the European Union score. Data is based on question 54b from the sixth "European Working Conditions Survey (2015).The National comparisons visualisation presents a comparative overview for the values of all answers between two selected countries. the Commissioner for Administration (Amendment) Law No 36(I) of 2004. Advisory Committee for the Prevention and Handling of Violence in the Family (ACPHVF). Since 2008 the gender pay gap (GPG) in Cyprus has narrowed. Specifically, according to Eurostat data, the GPG decreased from 19.5% in 2008 to 15.8% in 2013. This, however, is largely a result of the economic crisis, especially in male-dominated sectors such as construction. At national level the main statistical sources allowing for the calculation of unadjusted GPG are the Labour Force Survey (LFS) and the Structure of Earnings Survey (SES). On the legislative front, the most important development during the last seven years was the introduction of Law 38(I) /2009 that amended Laws of 2002-2004 on equal pay between men and women for the same work or for work of equal value. It was passed to harmonise national legislation with European legislation, notably Council Directive 2006/54/EC on the implementation of the principle of equal opportunities and equal treatment of men and women in matters of employment and occupation, and also for the purpose of complying with Article 20 of the revised European Social Charter. Since 2008, the Ministry of Labour, Welfare and Social Insurance (MLWSI) has put forward a series of policy measures seeking to reduce the GPG . The specific policy measures were decided on the basis of the conclusions of a study entitled Analysis of the pay gap between men and women in Cyprus and practical recommendations for reducing , undertaken on behalf of the Ministry itself. They were implemented under the Operational programme employment, human capital and social cohesion (unofficial English translation) 2007–2013. The Labour Relations Department has implemented from 2010 to 2015 the project entitled ‘Actions for reducing the gender pay gap ’. The project was financed by the European Structural Funds and aimed at the improvement of inspection mechanisms for equal pay legislation, as well as the establishment of the National Gender Equality Certification Body. The latter provided for a procedure leading to the certification of enterprises that adhere to the gender equality legislation. The procedure included offering guidance to enterprises willing to be certified. be appropriate people for the execution of the duties of the vacancy, as judged by the competent appointing body which is obliged to take into consideration the report of the special multidisciplinary commission, drawn up in accordance with the provisions of article 6 of Law 146(I)/2009. No information is available on the achievement of the quotas established by Law No. 146(I)/2009. European Commission (2014), Cyprus National Reform Programme 2014: Europe 2020 Strategy for: Smart, Sustainable and Inclusive Growth, Brussels. European Commission (2015), European Economic Forecast Spring 2015, Brussels. European Commission (2015), Cyprus National Reform Programme 2014: Europe 2020 Strategy for Smart, Sustainable and Inclusive Growth, Brussels. Government of Cyprus (2015), Action Plan ‘A new growth model for Cyprus’, Administrative reform unit, February 2015. Kapartis, C., Social dialogue and social systems: the case of Cyprus, European Commission, MEDA Programme, March 2003. Public Employment Service of Cyprus (2008), Employment guide, Department of Labour, Ministry of Labour and Social Insurance, Nicosia. Sparsis, M. (1998), Tripartism and industrial relations: the Cyprus experience, Nicosia.